Sareen and David had been selling their produce separately at NYC farmers markets for years before Marissa Codey from the Columbia County Land Conservatory brought all three of them into an unlikely partnership through the Farmer-Landowner Match Program. David began his career in agriculture in the UK in his early teens. 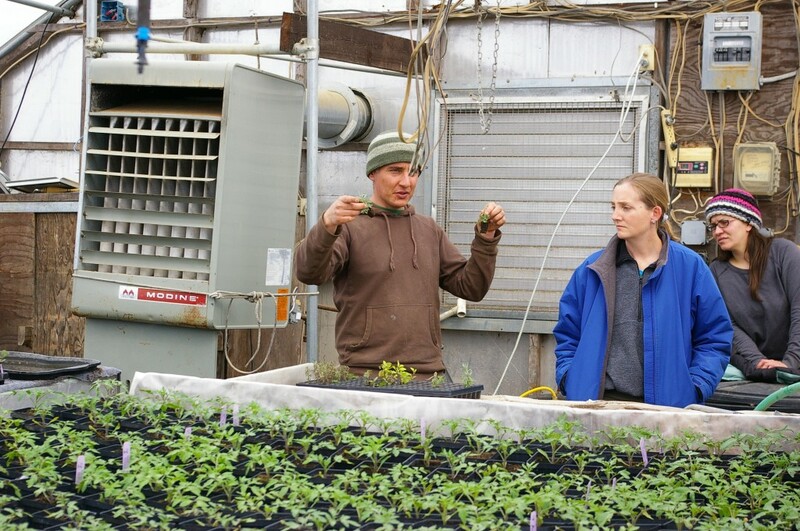 He moved to the US following his ex-wife, and settled into conventional farming here, until his family situation went sour and he grew sick from his exposure to conventional pesticides. He decided to continue doing what he knew and loved, but this time, on a small scale and organically. That’s when he started Monkshood Nursery. David shows us his greenhouses. He had previously interacted with the CCLC in purchasing the 80 acres of land his organic vegetable farm sits on now, just outside of Hudson, NY in Columbia County. Monkshood Nursery, Marissa says, is the last project the CCLC funded solo. 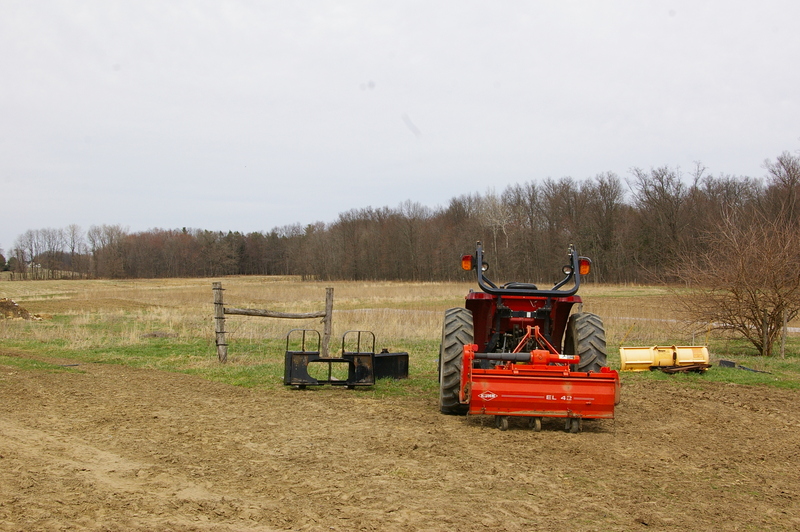 The CCLC looks to conserve land for use as open spaces and for agriculture. They now couple with other organizations to get Land Easements on properties, so that they cannot be sold or used for development. This lowers the monetary value of the land, but the CCLC and other land conservatories invest in paying the difference to the farmers upfront, so that they can pay off loans or expand. 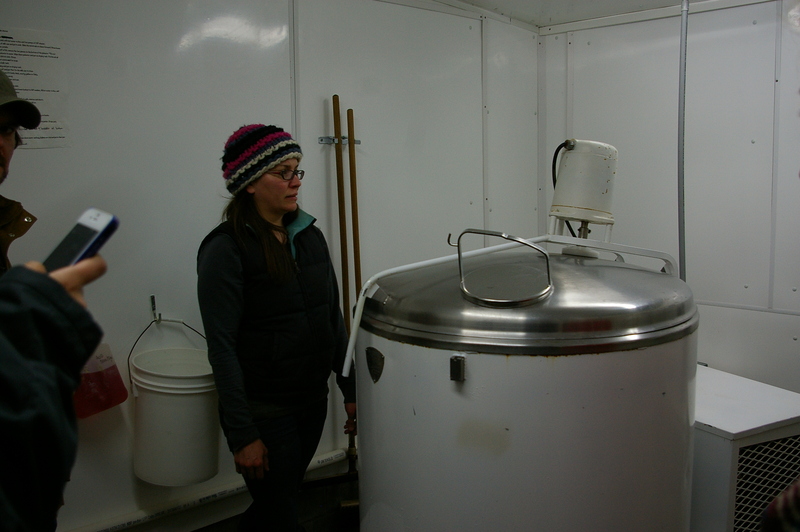 Sareen and the inside of her cheese making operations. Sareen comes from a very different background. 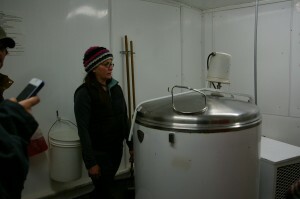 A college-graduate, she took a farm internship in Vermont and fell in love with the lifestyle. 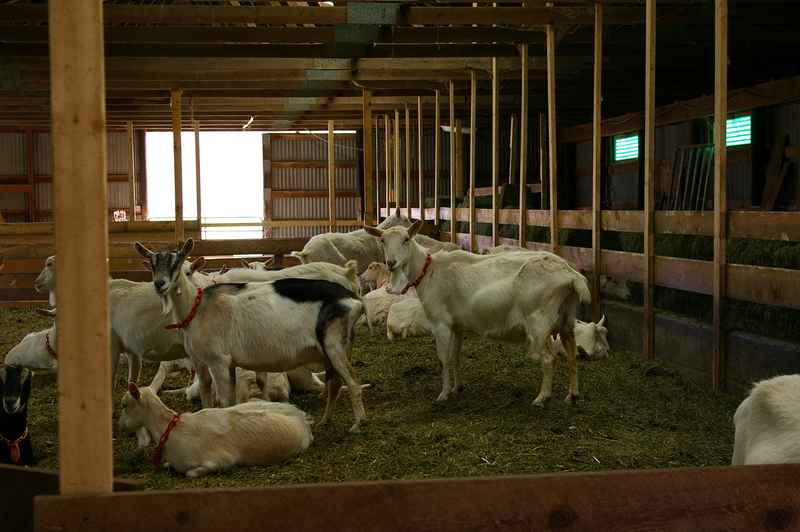 She was keeping her small herd of organic, Animal-Welfare approved cheese goats, under the name of Ardith Mae Farmstead Goat Cheese, in Pennsylvania when he own life went awry. She had decided she really liked the Hudson Valley, and that’s when she ran into Marissa, who helped her find a place to keep her goats. Marissa, who had helped David with his land easement, knew he was looking for someone to share his space with, and so, with much coaxing, Sareen moved her herd to the farm at Monkshood. The recovered infrastructure where the goats now live. Over the past months, the two farmers have been finding interesting ways in which their businesses work together, not just in sharing the land, but in sharing resources and waste products. Sareen’s goats now live in a recovered outbuilding David was using for storing equipment. Crop byproducts make perfectly good goat fodder, and the manure from the goats helps rejuvenate the land that David farms for vegetables. They collectively can afford to pay a full-time farm hand intern, who can work part-time cheese making and part-time in the fields. Working together, they only have to send one person to the farmers markets they both use as a dominant source of income from their businesses. As Spring dawns on the two local farmers, David is so satisfied with the sharing of his land that he repeatedly tells us he’d be happy to find another business to utilize the rest of his unused farmland.